Edo kiriko is a traditional Japanese art form that has a history of over 300 years. Yoshiro Kobayashi is a third-generation kiriko artisan who grew up around the kiriko workshop. Kobayashi directs his attention to every detail, and some kiriko pieces require over a month to produce. As glass products are now mass produced, interest in this extraordinary glass art has declined drastically. 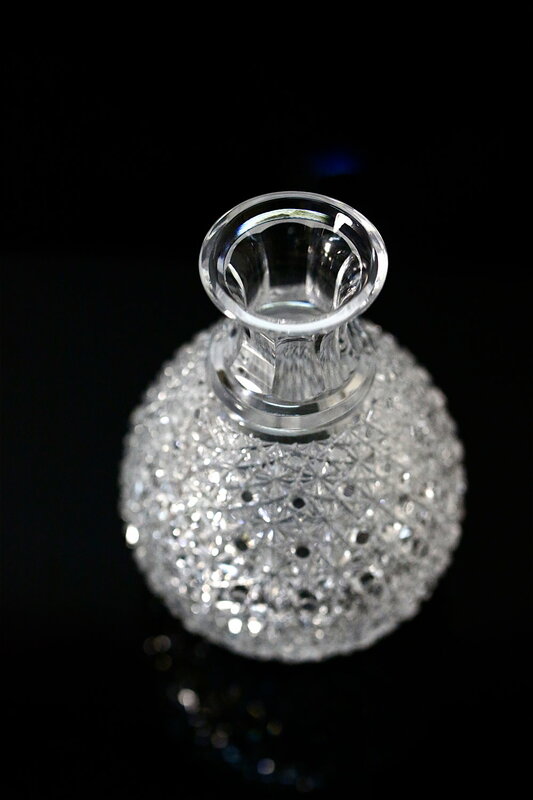 Kiriko are useful and gorgeous to look at; the minute cuts and fine details that go into each glass piece culminate into a one of a kind artistic wonder. Own your own Edo kiriko, made by Yoshiro Kobayashi. We invite you to experience the unadulterated intensity of the craftsmen at work. You will have the opportunity to witness the fruits of a legacy that has continued over four generations and create your own original Edo Kiriko. Read more about Edo kiriko master, Yoshiro Kobayashi.